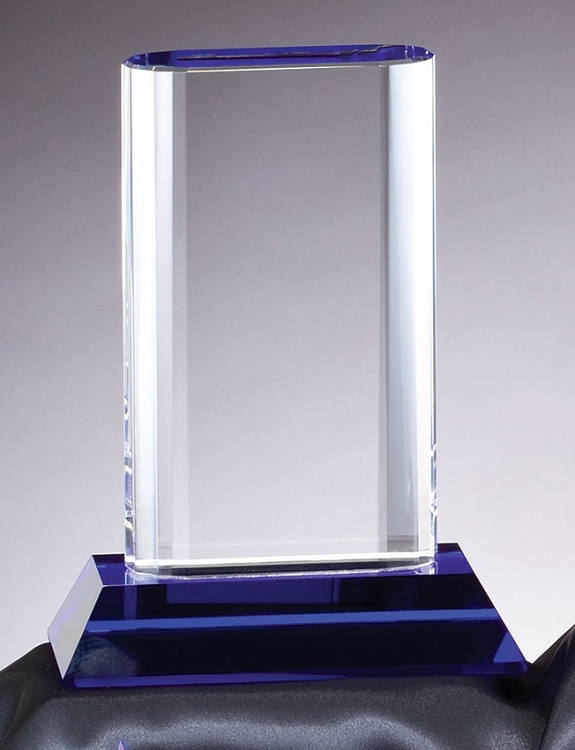 Optical Crystal Award Cool Blue Series 6”x 7¾” Free engraving. This trophy is clear crystal with blue crystal base and top. A handsome Corporate or Executive award for giving the best for the best.